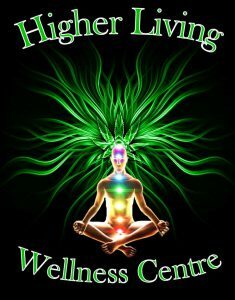 Jane, 36 – Higher Living Wellness Centre Inc.
“This is how I got hooked on opiates. I was looking in the medicine cabinet one day for Tylenol and stumbled upon a bottle that said ‘May cause fatigue’, so I took 2. They were Oxy 20s. I literally had no clue what they were at the time. After taking those 2 pills, I was hooked.” Jane proceeded to take those pills every day not realizing they would become physically addictive. “They didn’t teach us about opiates in DARE class” , she adds. Her father found out after a year and began locking up all the medication. During this period, Jane was still going to college, maintaining friendships, and knew some of her friends had also become addicts so she started looking around for pills but they weren’t as easy to come by and were costly. She quickly discovered that meth took the edge off the opiate withdrawls. She then went head first into a meth addiction giving up the tiresome search for pills. She used meth heavily for 2 years. Her parents kicked her out of the home, her friends slowly disengaged from her. “I was a mess.” Jane tells me. One day her family invited her over for dinner, which turned out to be an intervention. They told her she could live at home as long as she was seeking help. It took her a couple of weeks to find a 90 day rehab program but in the meantime, her mother started giving her pills again. It was a full bottle so after a week, she was hooked on opiates again. Before the bottle was empty, Jane realized she didn’t want to have to search for drugs on the street once the bottle was empty. She called someone she met in meetings at rehab who quickly came over and helped Jane throw away the rest of the pills. “The next thing I did was get an ounce of cannabis.” Jane retreated by herself to a cabin her family shared. “I smoked cannabis the entire time, drank lots of water, ate healthy and took vitamins that are good for withdrawals and did a little exercise when I could.” Cannabis helped her sleep, eat, and keep her mind off her addiction. “I was living in Georgia at the time so I didn’t have my pick of strains or different ways to consume it. I just found the best stuff I could and even after I returned home, I still smoked it everyday followed by long hot showers.” She was free of opiates and free of meth. It wasn’t too long after that Jane met her future husband and became pregnant. “I know getting pregnant doesn’t change everybody, I certainly saw lots of pregnant women using during my meth days and kids that should have never been in those places, but I wanted to be healthy for the life growing inside of me.” Jane says although it was hard to adjust to going to bed without cannabis, she felt great. Shortly after the birth of her first child, Jane became pregnant again. Jane says she doesn’t attend meetings as she doesn’t subscribe to the belief that once you’re an addict, you’re always an addict and you need to remind yourself everyday. ‘That’s just depressing.” Jane adds. At age 36, Jane says she’s not a fan of smoking cannabis anymore. She prefers to vape oils and consume edibles. “I prefer indica strains as I use cannabis at night- it’s like my night cap.” Jane tells me it’s been years since she’s consumed cannabis during the day. I asked Jane how her life has improved. “I can’t tell you how helpless it feels to be addicted to opiates. It’s miserable and it got to the point where I truly believed this is who I was and always will be. I saw people die. I was choosing to be around really horrible people who I hated. I hated myself and everything and everyone around me. I know people need opiates. I was given them in the hospital after my last daughter was born because of all the complications, but I told them not to send me home with any. I tell every doctor and dentist that. It’s been over 10 years but opiates are like a siren to me so I avoid them at all costs and treat pain with cannabis and ibuprofen instead. Jane is currently preparing for another move to D.C soon. She buys her cannabis oils from dispensaries and makes her own edibles from trimmings she buys from the shops. She’s been clean for 10 years. Jane now spends her days caring for her 3 young daughters and trying to spread the word about the medical use of cannabis in treating addictions and PTSD. If you are using cannabis to treat illness or pain contact me through Comments or the “Contact” tab. Be sure to subscribe via email and follow us on Facebook, Twitter and Instagram. For more Patient Stories click here.